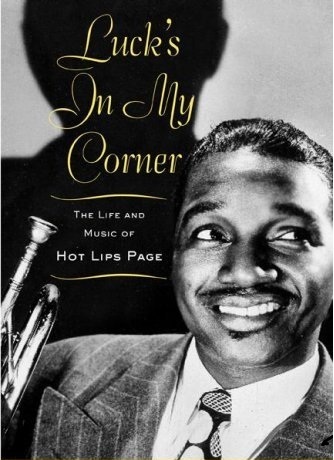 Oran ‘Hot Lips’ Page was an outstanding trumpeter, singer and band leader of the 1930s, 40s and 50s. A background in the roots of jazz in the 1920s – he played in backing bands for vaudeville, circus and minstrel acts – took him right through to the emergence of jazz as an internationally recognised music in Europe. He was of course mindful of Louis Armstrong, but also acknowledged local musicians from Texas and from Kansas City as influences on his trumpet style. His vocal influences are no less impressive – Ma Rainey, Bessie Smith, Ida Cox – and you can hear something of their shouting and wailing style in Frantic Blues, a track from New York City in 1944, recorded while he was leading the house band at the Apollo Theatre. The tenor sax breaks are by Lucky Thompson, a regular collaborator. And the shouting and wailing doesn’t stop when Page picks up the trumpet!